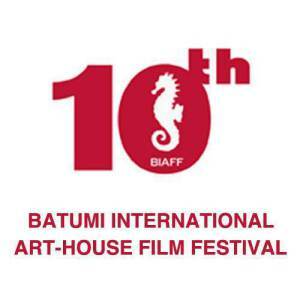 X BatumiInternational Art-house Film Festival will be held in Batumi during September 13-20September, 2015. The organizer – Batumi Art House ARGANI, official partner –Batumi city hall. OPENING FILM – Winter Song, Otar Iosseliani, France/Georgia, 2015;117 min. 1. Brother Dejan, Bakur Bakuradze, Russia/Serbia,2015, 113 min. 2. Chemo, Bartek Prokopowicz, Poland, 2015, 105min. 3. Itsi Bitsi, Ole Christian Madsen, Denmark/Croatia/Sweden/Argentina, 2014, 107 min. 4. James White, JoshMond, USA, 2015; 86 min. 6. Mustang, DenizGamze Ergüven, France/ Germany/Turkey/Qatar,2015, 97 min. 7. Peace to Us in OurDreams, SharunasBartas, Lithuania/France/Russia, 2015; 107 min. 8. Song of Songs, EvaNeyman, Ukraine, 2015, 76 min. 9. Tikkun, Avishai Sivan, Israel, 2015; 120 min. 10. Under Electric Clouds, Aleksey German Jr., Russia/Ukraine/Poland, 2015; 138 min. 1. A Syrian LoveStory, Sean McLeaster, UK, 2015; 80 min. 2. Amy, Asif Kapadia, UK, 2015, 127 min. 3. Cartel Land, Matthew Heineman, USA/Mexico; 2015; 100 min. 4. Double Aliens, UgisOlte, Latvia/Georgia,2015; 60 min. 6. Once My Mother, SophiaTuskiewicz, Australia/Poland/Ukraine, 2014; 75 min. 8. The Russian Woodpecker, Chad Gracia, UK/Ukraine/USA,2015; 82 min. 9. Touch of an Angel, Marek Pawlowski , Poland/Germany, 2015; 60 min. 1. Osegavar, Tato Kotetishvili, Georgia, 2015; 8 min. 2. Preparation, Giorgi Tsilosani, Georgia, 2015; 20’18 min. 3. Waste Land, Levan Lomjaria, Georgia, 2015;31’41 min. 4. Adam, Yuliya Hanchar, Belarus, 2014; 34min. 5. Bear, Avtandil Chachibaia, USA, 2015; 10 min. 6. Carousel, Nikon Romanchenko, Ukraine, 2015; 15 min. 7. Catkins, Alexander Derby, UK, 2015; 9’33 min. 8. Chiaroscuro, DanielDrummond , USA/Brazil, 2014; 7’48min. 9. Flankers, Justin Oakey, Canada, 2014; 14’10min. 10. Fragmentation, Anna Ovanesova, Russia, 2015;12min. 11. My Bonnie Butterfly, Lily Dong, UK, 2015; 8’31 min. 12. Old, MaríaCristina Pérez, Columbia, 2014; 9’20 min. 14. Rate Me, Fyzal Boulifa,UK, 2015;15 min. 15. Seventh Heaven, Or Tilinger, Israel,2014; 10’30 min. 16. Slaughterhouse, BehzadAZADI, Iran, 2015; 24 min. 17. Sweet Home, Nuno Baltazar, Portugal, 2014; 14’53 min. 18. Taprobana,Gabriel Abrantes, Portugal/Sri Lanka/Denmark 2014, 24 min. 19. The Chicken, Una Gunjak, Germany/Croatia 2014, 15 min. 20. The Other Side of the Water, Resul Sakinmaz, Turkey, 2015;18’44 min. 21. The Translator, Emre Kayis, Uk/Turkey, 2014;23 min. 22. The Vast Landscape – porcelain stories, Lea Vidakovic, 2014, Croatia; 11min. 23. Violoncello, OlesyaMorgunets-Isaenko, Ukraine, 2014; 23’10 min. 24. What the night brings, Lea Triboulet, Bosnia andHerzegovina, 2014, 20’12 min. 25. Within, NatáliaAzevedo Andrade, Portugal/Hungary, 2015; 3 min. 1. Brother, ThierryGrenade/Téona Grenade, France/Georgia, 2014; 94 min. 2. Cattlemen, Zurakavtaradze, Georgia, 2015; 20 min. 3. I am Beso, Lasha Tskvitinidze, Georgia, 2014; 92 min. 4. Line of Credit,Nutsa Alexi-Meskhishvili, Georgia, 2014, 85min. 5. Solomon, ZazaKhalvashi, Georgia, 2015; 70 min. 6. Somali Captives,Levan Adamia, Georgia, 2015; 47’37 min. 1. Eisensteinin Guanajuato, Peter Greenway,Netherlands/Mexico/Finland/Belgium/France, 2015;105 min. 2. Love, Gaspar Noe, France/Belgum, 2015; 134 min. 3. Mountains May Depart, Jia Zhang-Ke, China/Japan/France, 2015, 131min. 5. My Mother, Nanni Morreti, Italy/France,2015; 106 min. 6. One on One, Kim KiDuk, South Korea, 2014; 122 min. 7. Winter Song, Otar Iosseliani, France/Georgia,2015; 117 min. White Town, Harutyun Khachataryan, Armenia, 1988; 37 min. Kond, Harutyun Khachataryan, Armenia, 1987; 40 min. Documentarist, Harutyun Khachataryan, Armenia, 2003; 80 min. Endless Escape, Eternal Return, Harutyun Khachataryan,Armenia/TheNetherlands/Switzerland, 2014, 87 min. Several Interviews on Private Issues, Lana Ghoghoberidze, USSR/Georgia, 1977, 95min. Pheola, BaadurTsuladze, Georgia, 1970, 36 min. 1. A Town called panic:The Christmas log, Vincent Patar,Stephane Aubier,Belgium/France 2014, 26’30 min. 2. Daily bread, IdanHubel, Israel 2014, 19’42 min. 3. Dinola, MariamKhatchvani, Georgia 2013, 14’38 min. 4. Emergency calls,Hannes Vartiainen, Pekka Veikkolainen, Finland 2013, 15 min. 5. Wall, Simon Szabó, Hungary 2013, 11min. 6. Little block ofcement with disheveled hair containing the sea, Jorge López Navarrete, Spain 2013, 16min. 7. Pride, Pavel G.Vesnakov, Bulgaria/Germany 2013, 30 min. 8. Shipwreck, MorganKnibbe, The Netherlands 2014, 15 min. 9. Still got lives,Jan-Gerrit Seyler, Germany 2013, 23 min. 10. Summer 2014,Wojciech Sobczyk, Poland 2014, 12 min. 11. Taprobana, GabrielAbrantes, Portugal/Sri Lanka/Denmark 2014, 24 min. 12. The chicken, Una Gunjak, Germany/Croatia 2014, 15 min. 13. The Missing Scarf,Eoin Duffy, Ireland, 2014, Colour, 7 min. 14. Whale Valley,Guðmundur Arnar Guðmundsson, Denmark/Iceland, 2013, Colour, 15 min.